Description: 7/16" long Hermle hammer return spring. Made in Germany. Description: Made in Germany. 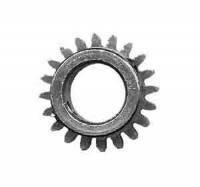 20-tooth moon drive gear with a 7.5mm center hole.